Towing – if we cannot get your car or truck to start we will tow it anywhere. Flat Tire Change – If you have a flat we can change it for you. 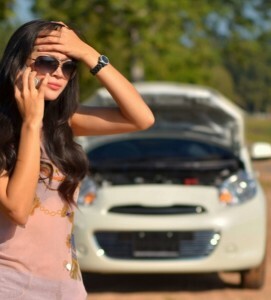 Battery Jump-Start – Call us if your battery fails. If possible, it will be jump-started at the scene to help get you on your way. Emergency Fuel and Fluid Delivery – If you run out of gas or your vehicle overheats, get the required fuel or fluids you need delivered directly to your vehicle. Lockout Service – If your keys are lost, stolen or accidentally locked inside your vehicle, we will dispatch a qualified service provider. Call Abel Brothers Towing for any of these services.